The Infested Terran is my favourite unit in the game of StarCraft:BroodWar and it's finally my icon. Infested Terrans are like mines you can control that have more than twice as much health and do four times more damage—mines already did a tonne of damage—all for 100 minerals and 50 gas a pop. Three infested Terrans kill a Command Center. Two make it weak enough for you to Infest again. I recall many years ago that there was a patch which screwed up Infested Terrans. I don't remember how, but it made them unbuildable. That a very disappointing time in my life. Thankfully they didn't take long to fix that. That's how long I've been playing this game. I've even still got the 1.0 disc. I was a little kid then, of course, but between myself and my two brothers we each pitched in $25 to buy the game. We'd been looking forward to it a long time, since before then we played WarCraft II on a LAN (my father has always kept up with computers). My StarCraft disc says "Windows 95 and NT" on it. It says copyright 1997. I guess they made it before Windows 98 was even a consideration. Playing StarCraft for the first time is a kind of magical experience. A lot of people suggest playing the campaign and then learning one build order and doing it over and over again to people who are new to the game, but I don't think that's correct. I think way before that point we all played endless games of StarCraft with a few friends vs the computers and that was a lot of fun in its own way. That's how you learn the game and get familiar with its units. How you begin to use hotkeys and memorise things without specifically 'training' yourself. StarCraft is a game, after all. Are they kidding? They can't possibly own the copyright to a beta image. It really wasn't. It was so much better than anything I'd ever played before. It felt good to play StarCraft. It made sense. The selection indicators around my units weren't squares, they were circles! I'd played a few RTS's before StarCraft, including Total Annihilation. I'd enjoyed a lot of them, but StarCraft was a better game on every level. The varying factions didn't just have slightly modified equivalents of each other, they had completely different abilities. It is a genuinely difficult decision to choose a main race after playing all three. You feel regret that you'll be missing out on the dynamics the other matchups offer, even the other side of the matchups you are already playing. 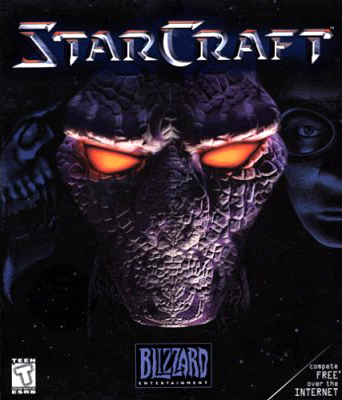 StarCraft brought something to the RTS world that had never existed in such a polished form before. BroodWar took that to another level entirely. It didn't take long at all for the last major balance changes to be in place and for the game to be stabilized forever. Before I got interested in 'melee' StarCraft I played a tonne of UMS. It's part of the reason micro and tactics were the strongest aspects of my game when I first started melee. UMS was a beautiful part of StarCraft too, though. If you were too afraid to play with your ego on the line, there were tonnes of team UMS games to enjoy. Even the UMS games which had you compete against others were often just with other people who only had a vague idea of how to play. It was a great environment for enjoying StarCraft and learning about the units. Beyond that, there were the chat channels. I'd be lying if I said I didn't spend a lot of time just talking to strangers (then becoming friends with said strangers) in chat channels. It was an important aspect of my enjoyment of this game. It gave weight to being good at the game. There were actually a few people to impress. B.net is mostly dead now, in part thanks to iCCup taking the loyalest fans with it, but it still remains some of my fondest StarCraft memories. The proscene of StarCraft:BroodWar is one of the coolest things ever, and often inspires me to play StarCraft and think about StarCraft and talk about StarCraft, but in the end StarCraft will always be a game to me. My life is not to become a StarCraft progamer. I have other goals, so I can't spend too much time playing. But that's okay. StarCraft never demanded I be the best at it to have fun. StarCraft is a game with all levels of players and all you need to do is find people your own level. Let the people for whom it's a job take it seriously. Let us just have fun. Becoming better is fun, but becoming better should never take priority over having fun. Sometimes people take this game too seriously. Sometimes people have strange ideas about what will make them better. If you've read my blogs before you'll know that I'm not a fan of ladder. Ladder makes you play in strange ways. Ladder makes the most effective way of climbing it (to start) doing a single strategy every game. But that is neither fun nor making you a better player overall. The fun of StarCraft is in expressing yourself through the tools the game gives you. But it's actually like Go. Go is a beautiful game. It has so many different play styles to accomplish one goal. It has so many different aspects one needs to master. The whole game isn't attacking. Sometimes it's gaining territory. Other times it's protecting territory. That makes the battles more interesting, since they are not the whole game. It makes the game as a whole more complex, since there is not a single way of playing it. Chess is like a single battle in StarCraft. Go is like the entire game of StarCraft. That's not an insult to Chess. I'm just stating that Chess is a very focused game which rewards a very particular skill-set. Still, let it be known that I find Go more interesting because of these differences. I've tried to keep this from being just a boring history of myself with StarCraft. I've tried to mention the things that make this game beautiful for everyone. Somehow, though, I feel like I can only speak for myself. I can only say these are the things that made StarCraft:BroodWar an amazing game to me. I can only say these are the things I see lacking in the games people moved onto every year after 1998. For what it's worth I'll never like another game more than I like StarCraft: BroodWar. It's not elitism. It's not just familiarity. I moved on from plenty of games before StarCraft. It's just that even among the few games that came after it which were innovative (WarCraft III's hero system), those elements never made for a better game. Those games which weren't even innovative, but just had different units were even less worthy of attention. Hey I love BW too! We should have a party or something. I definitely consider BW to be the best game I've ever played. It's incredible on every level. Unless you play on Holy World. Mwahhahaa. Or FFA. What are you saying is beautiful? It is indeed. Beauty and attraction go hand in hand. But it's actually like Go. Go is a beautiful game. It has so many different play styles to accomplish one goal. It has so many different aspects one needs to master. When i tried to learn Go i used many aspects of BW's game play to grasp the main concepts of territory, balance, positioning and such. After i become somewhat decent at it the more advanced ways of thinking in go really helped me to understand some more things about BW. I think both games are exceptional and have a lot in common. Yes!! I hate it when people compare scbw to chess when scbw to Go is so much more applicable. Good job on 6k posts! And of course, BW is best. Nice read, its like reading a review from a starcraft wiki page. Can anyone remember the game where a zerg player rushed queens and stole the map's neutral command center? I might be remembering it wrong, but it was PvZ and the zerg end up winning. Every ZvP on Holy World lol.